Has Energy Wastage Really Decreased Over the Years? Over the years technological advancements have been made with the hopes of making individuals lives easier. However, there have also been several advancements made with the hopes of helping reduce the energy wastage. The problem is that as technology advances, the price of technology increases, and the idea of trying to conserve energy becomes less appealing. According to a report in 2005, commercial and residential buildings are responsible for 38.9% of the total energy consumption in 2005 in the US. In 2005, 53.7% of the total is used by residential buildings, while the remaining 46.3% is used by commercial buildings. The US has always been the larges consumer of energy, which also leads it to be the largest contributor to energy wastage. 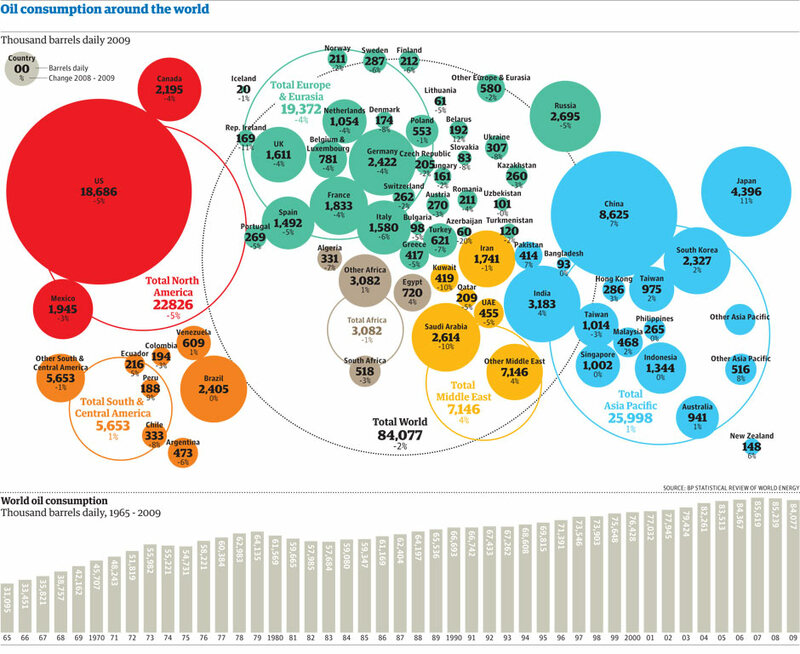 If you look at the Figure 1 below, you can clearly see that the US uses more energy than any other country. 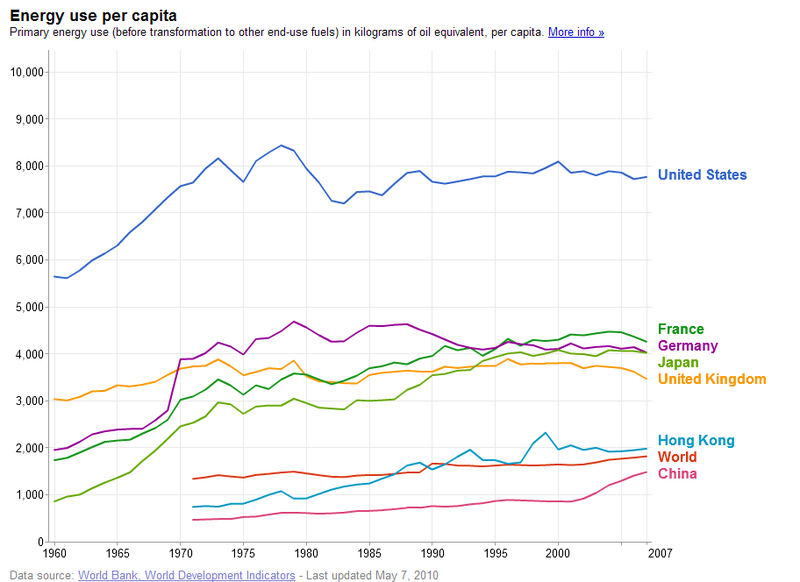 You may ask yourself why the US uses so much energy, especially when we have a smaller population that other countries. There are many reasons, but one reason is because we are the worlds leader in oil consumption, consuming up to 25% of the total oil consumption. If you look at Figure 2 you can see that not only has there has been an increase in oil consumption in the US, but also around the world. Now, lets take a closer look at the US. In the United States, a majority of the energy consumption that occurs in building happens in residential buildings, such as homes and apartments. While this may make sense, it also makes it harder to fix. There are more homeowners than commercial business owners, therefore making commercial building energy efficient seems like it is an easier task. More specifically, 51% of the electricity consumed in the US occurs in residential buildings and 74.4% of the total water consumption is used by homeowners in their homes. Water consumption has doubled over a span of 50 years, from 1950 to 2000, causing the average person to use about 100 gallons of water everyday. Furthermore, 4 billion dollars is spent every year in the United States to provide energy to run drinking water and wastewater utilities. By using better efficiency equipment, we can reduce up to 10% of the cost, which is equivalent to 400 million dollars. Going Back to what I had mentioned before, the reason that energy efficient technology is not used that often is because the price of buying energy efficient equipment is a lot more expensive. However, something that many people don’t understand is that in the long term the investment will help because it will actually help you save money. A perfect example of this occurred in Four Seasons Resort in Maui. The resort began to make advancements in their technology which costed up to $8 million dollars, however once all of the advancements are done, the resort will save over $1 million. In the long run, not only will they gain their $8 million, but they will save much more than that. So has Energy wastage changed over the years? In my opinion, I think that energy wastage will decrease, if it hasn’t already because of people who want to make advancements so they don’t waste $94,000 because of a leak.